If you’re heading to the Smoky Mountains for a mini vacation, a quick weekend getaway or an extended stay, and you haven’t decided where to unpack your suitcases, consider the comfort and quiet of a rental cabin. While hotels are nice, there are many reasons why reserving a private cabin is the best bargain in town – and with the beauty of the mountains as close as your own back deck. Whether you’re traveling with family or friends, celebrating a special event, or just wanting to get away for a relaxing and romantic weekend, consider the reasons to choose a luxury rental cabin in the mountains. Many Gatlinburg cabins are in resorts and have common amenities including a swimming pool for all-day fun. While hotels also have pools, when you stay in a private cabin, you aren’t subjected to crowded conditions. Kids like an adventure and many cabins feature an upstairs loft with bunk beds where kids can play and sleep in an adventurous setting. Adults have the downstairs area for their own entertainment or they can step outside on the deck and unwind in a hot tub soak. There are plenty of things to do in the Smoky Mountains from kayaking and hiking to family-oriented attractions in nearby Gatlinburg and Pigeon Forge. One of the best things about a cabin after a day sightseeing or spending the day at an area attraction, is to return to the comfort and privacy of a cozy home-style atmosphere. Cabins offer space to stretch out, unwind and relax, in multiple rooms. Privacy is built-in with a cabin as there are no thin walls, no strangers roving the hallways throughout the night, or listening to late night party-goers returning to their room. With the comfort of the cabin deck, you can get up at your leisure to the enjoy sounds of nature at any time of day or night without having to leave your accommodation. Similarly, you can enjoy a quiet breakfast made from your own kitchen while viewing the scenic beauty of the mountains. Cabin rentals can offer better savings than a hotel, especially when splitting the cost with a group of friends or another couple. Each couple has their own private space – something hard to imagine in sharing a hotel room. It gets even better with last-minute deals and discounts, such as a Half-Price weekend on remaining cabins. Reserving ahead of time is the way to make sure you get your favorite cabin or one that best suits you. Remember that reserving for slightly off-season, or for a stay during weeknights rather than a weekend stay, can bring you lower prices and even more specials. See our Specials page for details. TIP: the WEEKDAY specials can get you 4 nights for the price of 2, and they’re often listed at least a month in advance. With such savings it may be worth changing your routine to fit your trip in during Sunday through Thursday nights. Having access to a fully-equipped kitchen is another money-saving reason to choose a rental cabin. Preparing your own meals, stocking up on perishable snacks and treats, and always having a cold beverage waiting is an added bonus. With your own cabin, there’s no need to worry about whether or not you’ll have access to a convenient parking spot, or having a spot at all. With a private cabin, your parking spot is assured, just steps away from your own front door. Many people love to travel with their four-legged pet buddies. Lots of Smoky Mountains cabins are pet friendly. See our Pet-friendly Cabins Gatlinburg page, or our Pet-Friendly Cabins in Pigeon Forge page to get started with what you need to know about our policies. Also check out our articles with tips for bringing pets: Pet Travel Tips for Gatlinburg and Pigeon Forge. And let’s not forget the best places to walk your pets, from Pet Friendly Hiking Trails to Public Parks in Gatlinburg and Pigeon Forge. Another big advantage of renting a cabin is you can bring a lot of stuff along, such as everyone’s favorite comfort foods and snacks, an assortment of movies and music, and a selection of adult and kid-friendly play station games. Temperatures can change quickly in the Smoky Mountains and it’s nice to have all the clothes with you that you might need need to stay cool or warm. Renting a cabin means you have ample closet and room space for bringing along extra clothing – and it’s nice not to have to keep all your supplies stuffed in the car because you don’t want to clutter up the hotel room. Cabins are designed with guest comfort and convenience as priorities. From spectacular scenic mountain views to cozy fireplaces the atmosphere is one of subtle luxury that sets the tone throughout your stay. 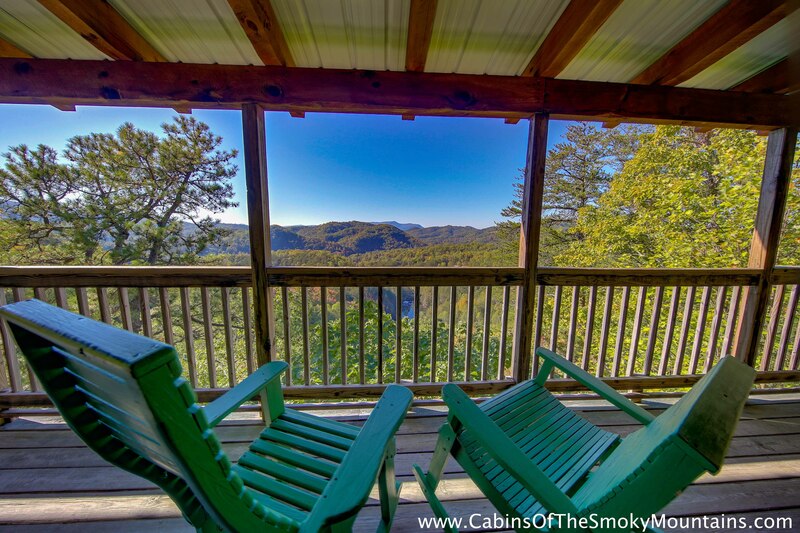 No matter which season you choose to visit the Smoky Mountains, there’s a rental cabin designed with your preferences in mind. When calling for a reservation, you can specify the types of features and amenities you are looking for while knowing right outside your door is peace and quiet versus the noise of traffic and crowds.See all of our TIPS Articles for ways to make the most of your stay in a rental cabin in the Smoky Mountains.